The EPA announced that it is inviting the public to submit information related to hydraulic fracturing, in support of its study on the potential impact on drinking water resources throughout the country. This could include: data, studies, scientific analyses and other pertinent scientific information. This will support the EPA to inform current and future research and ensure a robust record of scientific information. Check the Federal Register for more information. 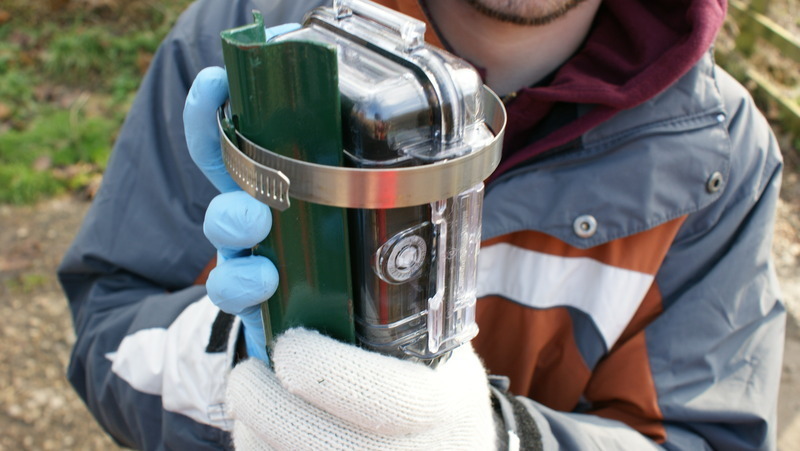 We encourage all citizen scientists out there to submit your data and stories. Pittsburgh Parks Conservancy WaterBot Expedition! 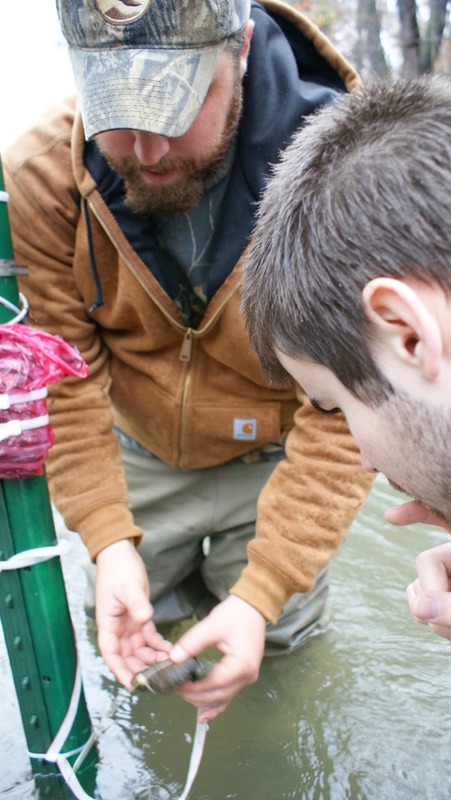 Taiji and Sage installing the first WaterBot. Hello CMU Create Lab! 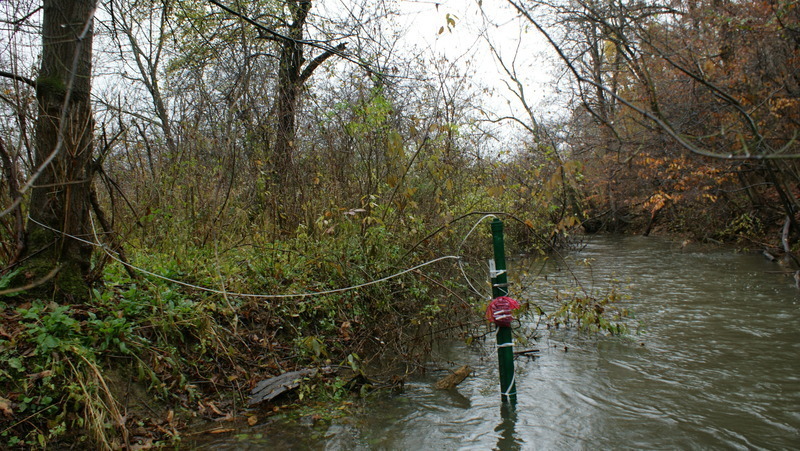 I was involved in the installation of WaterBots in Frick Park, and was asked by Jessica Pachuta to write an entry for the blog. I hope this is okay! 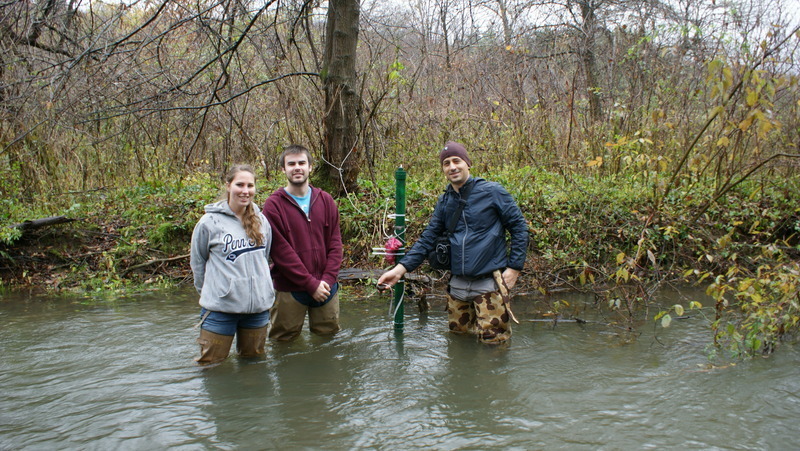 On Saturday March 24th, after being delayed by torrential downpour and flood warnings, we were finally able to install the final 5 WaterBots in the 9-mile run watershed. Jessica from CMU’s CREATE lab, Taiji from PPC, and myself (Sage, a high school student externing at PPC) spent the entire afternoon setting up the bots. The adventure took 5 hours of tromping through the creek in (leaky) waders, countless zip-ties, and a pit stop at McDonalds, but the weather was great and we all enjoyed being outside! I’m a senior at the Ellis School, and this year I had the opportunity to have an externship with the Pittsburgh Parks Conservancy. This spring, in addition to being a crew leader at several of the PPC’s volunteer work days, I am going to collect data and monitor the WaterBots. So far, there have been some technological issues which hopefully have already been solved! A far more concerning issue is the missing WaterBot. WaterBot 0009 has mysteriously disappeared, though fortunately all the others are exactly how we left them. Hopefully a reason other than theft will present itself, but considering how well it was anchored down, other explanations seem unlikely. But despite this dilemma, I'm very excited to get to work with the CREATE Lab's WaterBots this spring!